On Nov. 29, the Arab League approved a political action plan by PA President Mahmoud Abbas aimed at imposing the establishment of a Palestinian state without any political compromise on the Palestinians’ part. Jordan, currently the only Arab member of the UN Security Council, will submit a resolution to the Council along the lines of Abbas’ plan in the coming days. The plan involves internationalizing the Israeli-Palestinian conflict by having the Security Council fix a date for the establishment of a Palestinian state based on the 1967 lines with east Jerusalem as its capital. Abbas, who claimed there was no longer an Israeli partner for a political settlement, said his plan includes having the “state of Palestine” join international conventions and organizations, particularly the International Criminal Court in The Hague, and requesting the UN to provide protection to the Palestinian people. Abbas’ political plan shuts the door to any possibility of reaching a political settlement through negotiations with Israel. The conditions he has presented for resuming negotiations impose terms on Israel with no reciprocity from the Palestinians in the context of a political compromise. Abbas is trying to exert pressure on the U.S., the international community, and Israel simultaneously. Abbas hopes to goad the international community into forcing Israel to recognize a sovereign Palestinian state based on the 1967 lines without a peace agreement being signed. The Palestinian Authority is determined, even at the price of a run-in with the U.S. and Israel, to advance a unilateral political process that is aimed against Israel. The rioting and terror in Jerusalem and the West Bank, which are being encouraged by the Palestinian Authority, serve as a form of pressure on Israel and are also aimed at spurring the international community’s intervention. 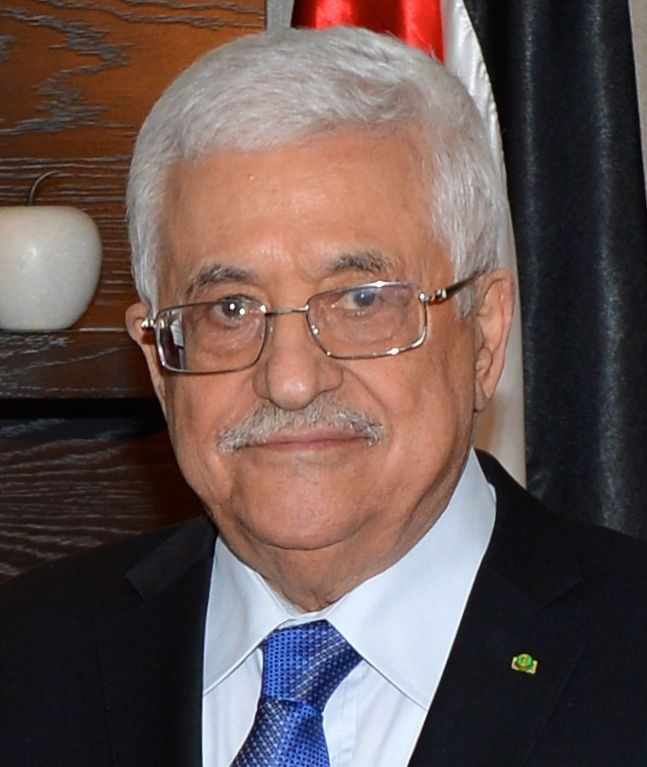 The political plan Abbas presented was detailed in a speech he gave to the Arab League Council.4 The plan involves internationalizing the Israeli-Palestinian conflict by submitting a proposal for a resolution to the Security Council, whereby the Security Council would fix a date for the establishment of a Palestinian state based on the 1967 lines with east Jerusalem as its capital. Abbas’ political plan shuts the door to any possibility of reaching a political settlement through negotiations with Israel. Whereas Abbas conveys to the world at large that he remains committed to the path of negotiations, the conditions he has presented for resuming them entail imposing terms on Israel with no reciprocity from the Palestinians in the context of a political compromise. Abbas says Palestinian conditions for renewing the talks include: ending construction in the settlements, freeing the fourth group of Palestinian prisoners (terrorists who are Israeli citizens and are serving prison sentences), withdrawing IDF forces from parts of Area A in the West Bank that are supposed to be under the Palestinian Authority’s full security control, and Israeli agreement to negotiate with the Palestinians on making the 1967 lines the border between the state of Israel and the state of Palestine. Abbas is trying to exert pressure on the United States, the international community, and Israel simultaneously. He told the Arab League Council that he sees no need to wait for the results of U.S. Secretary of State John Kerry’s attempt to bridge the Israeli and Palestinian positions, and that, if the United States vetoes the resolution in the Security Council, he would then reassess relations with Israel, end security cooperation with it (which is aimed at preventing terror), and transfer control of the “state of Palestine” to Israel, which he called “the occupying state.” By means of that scenario – which could foster political and security chaos leading to an Israeli-Palestinian confrontation (a third intifada) that would have a regional and international impact – Abbas hopes to goad the international community into forcing Israel to fulfill the Palestinian condition of recognizing a sovereign Palestinian state based on the 1967 lines, without a peace agreement being signed. Thus the Palestinian Authority is determined, even at the price of a run-in with the United States and Israel, to advance a unilateral political process that is aimed against Israel and has the full support of the Arab League. The rioting and terror in Jerusalem and the West Bank, which are being encouraged by the Palestinian Authority, serve this political process as a form of pressure on Israel and also are aimed at spurring the international community’s intervention. Abbas not only has not condemned the wave of Palestinian anti-Israeli terror but, in traditional fashion, his speeches have reiterated the formula of “praise to the pure martyrs, freedom to the heroic prisoners, and rapid recovery to the heroic wounded.” What this adds up to is backing for every Palestinian who takes part in the struggle against Israel, including terrorist murderers. The unilateral Palestinian political process marks the launching of an all-out political campaign against Israel accompanied by terror that could develop into an armed intifada. In relation to the international community Abbas has a supreme interest in maintaining the tenuous unity agreement with Hamas, since it indicates that the Palestinian Authority exercises rule (actually only apparent) over Gaza as well. Hamas, the real and unquestioned ruler of Gaza, is extending a rope to Abbas because it sees him as a means, in the international sphere, of attaining the “liberation” of the West Bank, which Hamas wants to take over in a similar way that it drove Fatah from Gaza in the summer of 2007. Hence, for the time being, Hamas is not likely to initiate hostilities with Israel from Gaza, and most of the terror effort will be directed at the West Bank and, from it, at Israel, while continuing to rehabilitate and build up terror infrastructures and military capabilities in Gaza.